Developing personas is something businesses do to segment their customers and/or users so they can communicate with and serve them in a more personal and effective manner. It works for donors, too! Not all of your donors have the same values, communication preferences, or concerns, so developing personas can be extremely useful in building your relationships with them. A donor persona should represent a group of your donors who share similarities in the previously listed areas. When you determine a donor fits one of your personas, you can use the pitch and communication strategies you developed to increase donor satisfaction and the likelihood that they’ll continue giving to your organization! 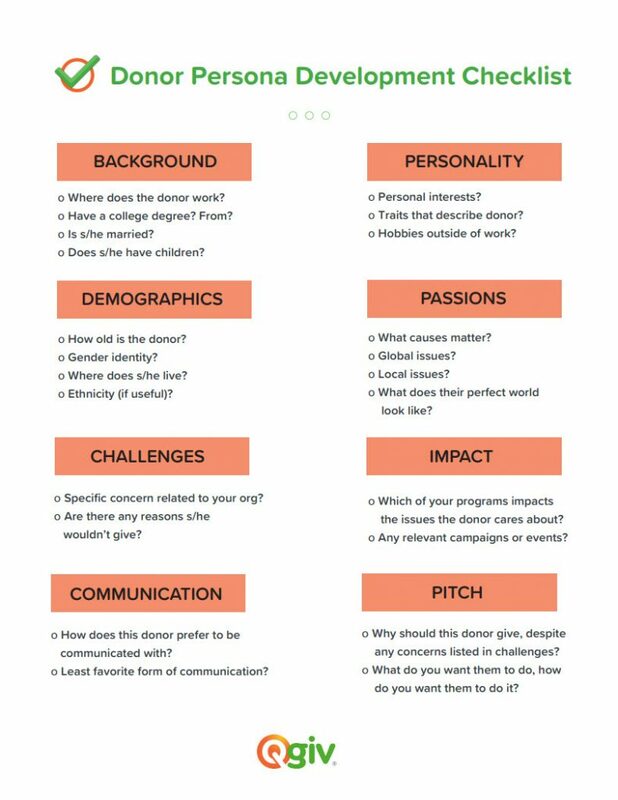 To download the handy Donor Persona Development Checklist, click the image below!